Usually, our coworking spaces are pretty balanced when it comes to gender. But on March 9th, that was different: during the inauguration event of “WE SHAPE TECH” 100 women found their way to our Colab space. What a statement! These 100 women came together with the goal of fostering greater diversity in the field of technology and innovation because diversity enriches collaboration which ultimately leads to better products and happier users. Over the course of this frist event, all participants helped creating the manifesto of the WE SHAPE TECH community which would define the strategy for coming months. Together this community decided to tackle the following 5 pillars to push things forward: Career, network, diversity, unconscious bias and young generation. 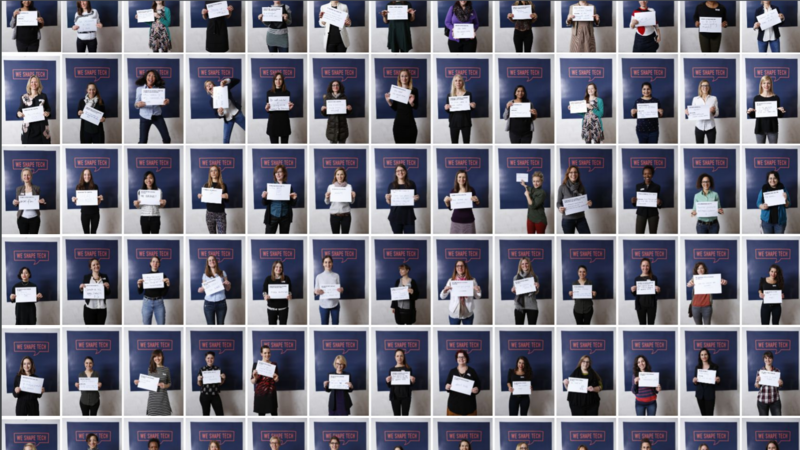 Two months later, during their second event on May 19th, our space again had the pleasure to host 100 women of the inspiring WE SHAPE TECH community. 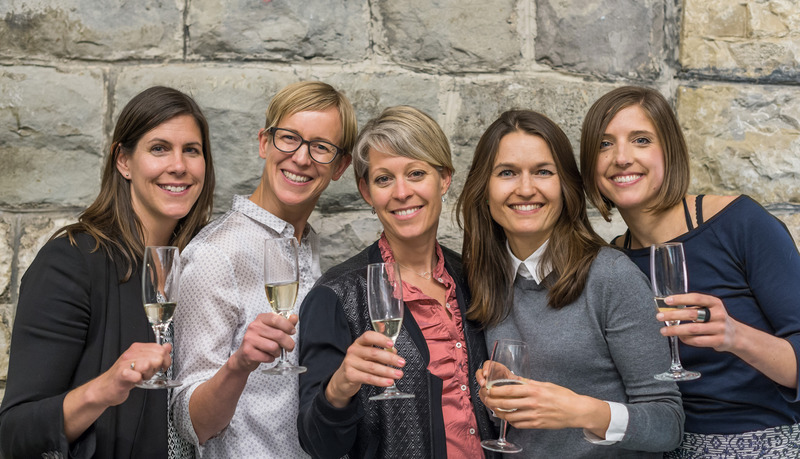 As an official Impact Hub Zürich tribe, we are more than happy to see this growing community call our spaces their home base. The organizational team – which had grown by two people since the last event – proudly presented how the planned activities and events in this year will help to improve the situation and fulfill the manifesto. These activities included creating a membership with benefits for individuals and companies, offering workshops, coaching and mentoring, building up a job platform and educating the next generation during events like the Informatiktage. 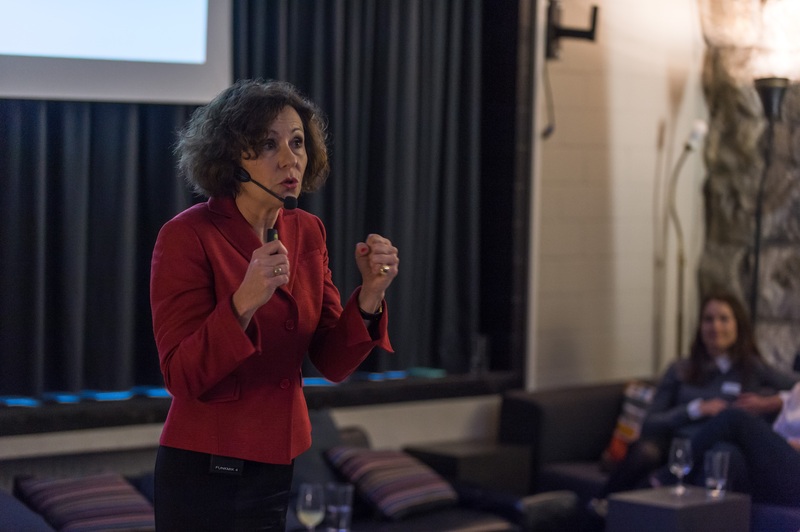 The highlight of the second event, whose focus it was to strengthen women in their careers, was the talk and workshop on «Authenticity and Confidence – The Key to Successful Public Speaking» by Beatrice Müller, former anchorwoman and journalist of SRF’s daily news and communications expert. Truly authentic, Beatrice Müller started her presentation by honestly stating that English isn’t her strong horse thus explaining why she was giving her speech in German. While men usually do not seem to spend much thought about public speaking and do so in a nonchalant way, women are more considerate. That 100 women came to listen to Beatrice Müller’s words showed however that women are now ready to present themselves as well, to expose themselves and to make their voices heard. And that is what a presentation is all about: how to make sure you are seen and heard. Nobody is born a pro at presenting! Public speaking or presenting is a very distinct skill, one that is learned by doing it and by doing it often. One cannot learn how to give a powerful presentation from a piece of paper. In order to deliver a great performance, you need to know yourself; find out how you appeal to others, become aware of your non-verbal communication and most all use the very first impression. Already walking onto a stage or into a room will determine how people feel and think about you, so make sure you leave an impression! Becoming a Pro takes time and exposure. But only by getting to know yourself in this situation, you will be able to steer your car. Don’t underestimate the preparation of your presentation. Take the time to think yourself into your audience; Why are they here? What motivates them? What do they know? Make sure that your messages are tailored for your audience and remember that the absorbing capacity of your audience is very limited. If you don’t know what you want your audience to take away from the speech, how should they?! Reduce, repeat and recycle your messages and use a considered dramaturgy to keep your audience’s attention. Preparation is key. Who ever talks longer than 50 minutes is abusing the audience. Presentation is about being present. The more concentrated you are, the more you will be able to be present: to stay with yourself and your words. The goals is to reach a level of concentration where nothing can distract you. Skip the networking before the event, if you can, and take a moment to fully zone into your body and mind. Do it like an athlete: Physically and mentally prepare for your appearance. By completely walking through the procedure (when do I pick up the mic, how will I hand it over, where will I stand, etc.) you will be able to reduce your insecurities and your brain will be able to focus on what really matters: your speech. Prepare your speech by actually saying the words out loud forcing your brain to really use language to form your content. A nice side effect is that you will actually know how much time it takes to bring your point across and thus improve your time management. Live your speech before you give it. Make it yours and you will be a presence! Becoming a good presenter is all about getting to know oneself and actively handling it. You need to sensitize yourself to these topics and understand how you function, how you affect people, how you hold yourself and how you articulate your messages in order to fully reach your potential. The women of the future need to be heard! And that needs to be practiced.